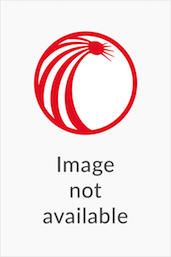 A text presenting an overview of theories and strategies for public interest litigation, and the various avenues and methodologies that have been used in Canadian history. Plus, case comments and studies included. 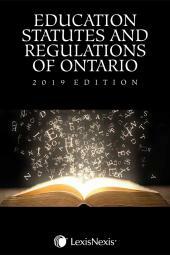 This text presents an overview of theories and strategies for public interest litigation and the various avenues and methodologies that have been used in Canadian history. It also examines its development since the introduction of the Charter, challenges and successes, procedural issues, the role of intervenors and its social impact. Basil Alexander. Pragmatic Assorted Strategies: How Canadian Cause Lawyers Contribute to Social Change. Fay Faraday, Tracy Heffernan & Helen Luu. Winning the Right to Housing: Critical Reflections on a Holistic Approach to Public Interest Litigation. Helgi Maki & C. Tess Sheldon. Trauma-Informed Strategies in Public Interest Litigation: Avoiding Unintended Consequences Through Integrative Legal perspectives. Joëlle Pastora Sala & Allison Fenske. The Wheels of Justice: Reflections from the Public Interest Law Centre of Legal Aid Manitoba. Anne Levesque. The Symbiotic Relationship between Social Movements and Public Interest Litigation: A case study of the I am a Witness Campaign and the human rights complaint of 165,000 First Nations kids. Josh Paterson. The Work Outside the Courtroom: Public and Government Engagement in the Carter v Canada case. Gerard J. Kennedy & Lorne Sossin. Justiciability, Access to Justice and Summary Procedures in Public Interest Litigation. Angus Grant. Stand By Me: Public Interest Standing and Immigration and Refugee Advocacy in Canada. Maureen Silcoff. Public Interest Party Status: A study of Y.Z v Canada. Christine Laing. Yaiguaje and Security for Costs: Litigation Tactics Yield to Advancing and Restating the Law. Daniel Sheppard. Just Going Through the Motions: The Supreme Court, Interest Groups and the Performance of Intervention. Kathryn Chan and Howard Kislowicz. Divine Intervention: A study of the Operation and Impact of NGO Interveners in Canadian Religious Freedom Litigation. Barry W. Bussey. The Law of Intervention After TWU Law School Case: Is Justice Seen to be Done? Maegen Giltrow & Nathan Hume. Shadow Interveners in Aboriginal Rights Litigation. Christopher D. Bredt, Ewa Krajewska & Mannu Chowdhury. With a Little Help from Too Many Friends? Lessons from TWU and Comeau on Intervening before the Supreme Court. Gavin Magrath & Gail Davidson. Balancing Act: Practical Lessons for Human Rights Interventions. Eleanor Vaughan. Friends of the Court: Public Interest Interveners in Lizotte v Aviva Insurance Company of Canada and Alberta (Information and Privacy Commissioner) v University of Calgary. Karen R. Spector. Legal Strategies for Intervention in Cases Advancing the Rights of Persons with Mental Health Disabilities. E. Richard Gold & Rachel Meland. Locating the Public Interest in Patent Law. Immigration/Habeas Corpus - Joshua Blum. The Boxes Law Puts Us In: A Comment on Ali v Canada (Attorney General). Immigration/Habeas Corpus - David Cote & Subodh Bharati. Habeas Corpus and Immigration Detention: a case study of Scotland v Canada (Attorney General). Prison Rights Litigation - Alison Latimer. Solitary Confinement: A Test Case Litigation Story. 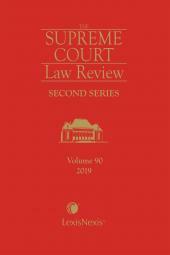 Public Interest Litigtion in Canada is a collection of papers developed out of Supreme Court Law Review, Second Series. Cheryl Milne, LL.B., M.S.W., is the Executive Director of the David Asper Centre for Constitutional Rights at the Faculty of Law at the University of Toronto. Prior to this position she was a legal advocate for children with the legal clinic Justice for Children and Youth for 17 years. There she conducted Charter litigation at the Supreme Court of Canada including the challenge to the corporal punishment defence in the Criminal Code [Canadian Foundation for Children, Youth and the Law v. Canada (2004)], the striking down of the reverse onus sections of the Youth Criminal Justice Act for adult sentencing [R. v. D.B. (2008)], and an intervention involving the right of a capable adolescent to consent to her own medical treatment (A.C. v. Manitoba Child and Family Services ]. She has represented numerous young people in education related proceedings under the Education Act, child welfare and family law proceedings, and in youth court under the Youth Criminal Justice Act, among others. She has been Chair of the Ontario Bar Association’s Constitutional, Civil Liberties and Human Rights section, the Canadian Coalition for the Rights of Children, and Justice for Children and Youth. She is the current Chair of the CBA Children’s Law Committee and sits on the Steering Committee of the National Association of Women and the Law. She was appointed to the Council of Canadian Academies’ Expert Panel on Medical Assistance in Dying for Mature Minors and was recently cross-appointed to the Child and Family Services Review Board and the Human Rights Tribunal of Ontario. She teaches a clinical course in constitutional advocacy as well as child and youth law at the University of Toronto, Faculty of Law and has taught Social Work & the Law at Ryerson University. Kent Roach is Professor of Law and Prichard-Wilson Chair of Law and Public Policy at the University of Toronto Faculty of Law. He is a graduate of the University of Toronto and of Yale, and a former law clerk to Justice Bertha Wilson of the Supreme Court of Canada. In 2015, he was appointed a Member of the Order of Canada. In 2016, named (with Craig Forcese) one of the top 25 influential lawyers in Canada (change-maker category) by Canadian Lawyer. He was awarded the Molson Prize for the social sciences and humanities in 2017.He is the author of 14 books including Constitutional Remedies in Canada (winner of the Owen best book Prize); Due Process and Victims’ Rights (short listed for the Donner Prize), The Supreme Court on Trial (same); (with Robert J. Sharpe) Brian Dickson: A Judge’s Journey (winner of the Dafoe Prize) and The 9/11 Effect: Comparative Counter-Terrorism (winner of the Mundell Medal) and (with Craig Forcese) False Security: The Radicalization of Canadian Anti-Terrorism (winner of the Canadian Law and Society Association best book prize). He is the author of the Criminal Law and Charter volumes in Irwin Law’s essentials of Canadian law series. His 14th book Canadian Justice, Indigenous Injustice: The Gerald Stanley/Colten Boushie Case was published by McGill Queens in early 2019. He has won awards for his pro bono work and contributions to civil liberties. He has represented Aboriginal and civil liberties groups in many interventions before the courts, including Gladue, Wells, Ipeelee and Anderson on sentencing Indigenous offenders, Latimer on mandatory minimum sentences, Stillman, Dunedin Construction, and Ward on Charter remedies, Golden on strip searches, Khawaja on the definition of terrorism and Corbiere and Sauve on voting rights. He is involved with the Asper Centre for Constitutional Rights.